Hello, again! We’ve missed you! Rachel and I took a short Spring Sabbatical after an intense few months of finishing up the manuscript for our next book. The title of the book is Nourished: A Search for Health, Happiness and a Full Night’s Sleep. (It will be released next January, with Zondervan Publishers.) We decided to take some of our own advice in the book, and take a little time off to nourish ourselves — to rest, spend time with family and friends we ignored as we typed away to meet our deadline, and let our brains lie fallow for a bit. I am spending my 55th birthday in sunny Phoenix this week, a treat and restoration to my soul, especially for this heat-seeking girl who has been stuck in cold, snowy Denver this Spring. I love Denver, but “Spring” only lasts one month in Denver: May. Which means our winter, though often mild and sunny, is long and brown. 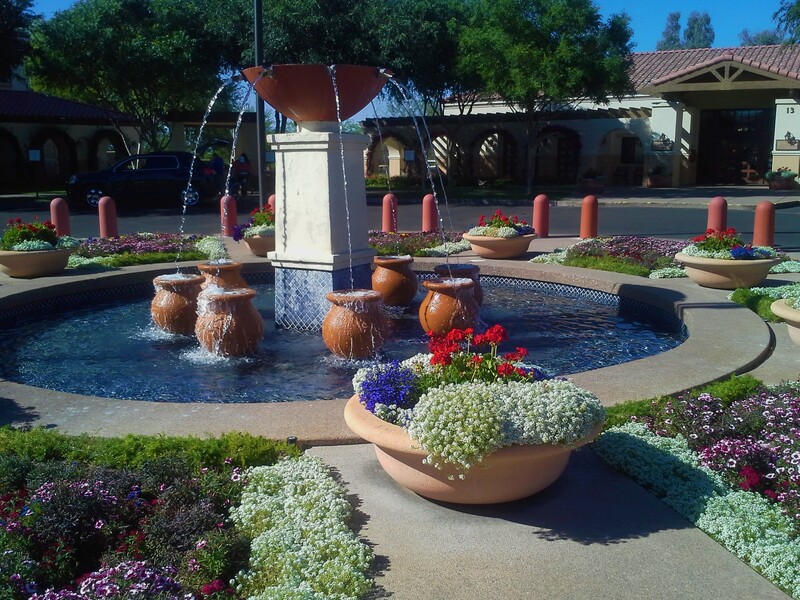 My eyes are drinking up the bright colors of emerald green and the colorful flowers of purple, scarlet, yellow and orange in warm Arizona. It has taken a little while, but my desire to cook and to blog has returned. A good sign that my brain has rested enough to access some creative neurons again. 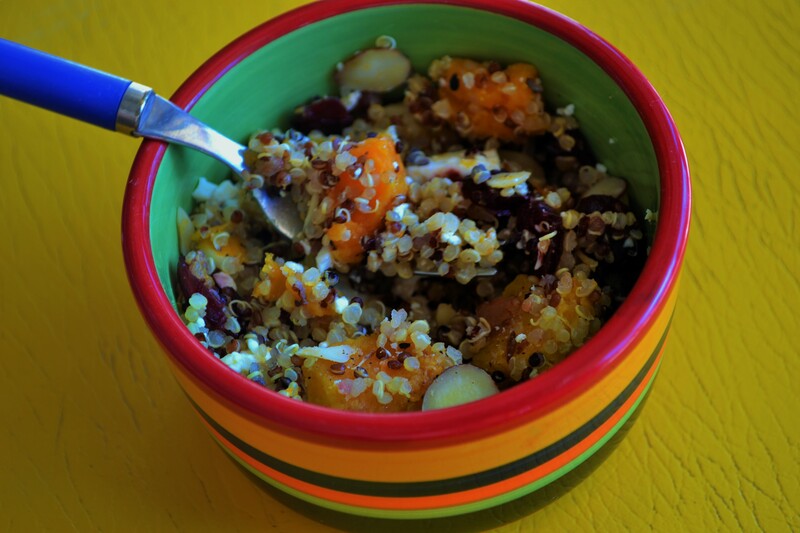 And so this brings us today’s recipe for Butternut Squash and Cranberry Nut Quinoa. I will admit it. I came late to the Quinoa party. In fact, for a long time, I had a fear of cooking quinoa. There there is the ever popular side dish. 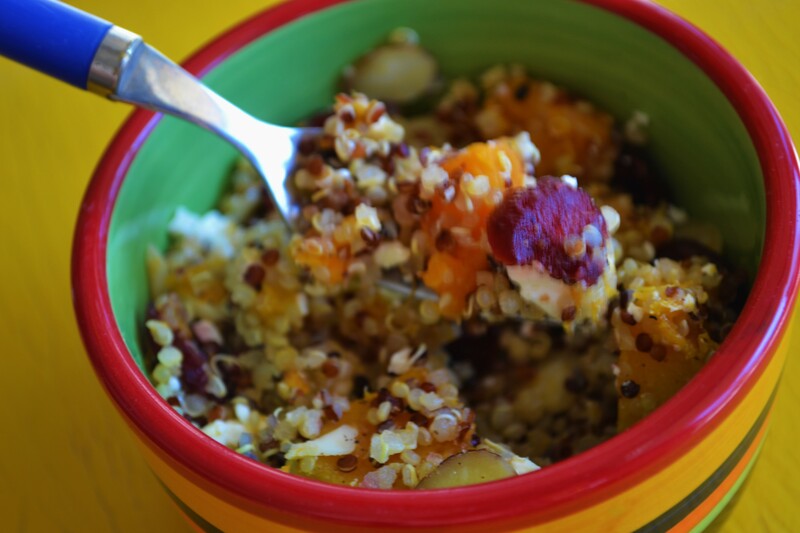 I made this combination of quinoa with butternut squash and dried cranberries last week, and it reminded me of Thanksgiving…. and was wonderful alongside slices of rotisserie chicken. Gently toss together all the ingredients, while warm, in a bowl. Serve and enjoy!